"I'm right handed. Why do I need ambidextrous rifle accessories?" If you're asking yourself this question, you will definitely want to educate yourself on why left-handed or ambidextrous accessories can prove to be extremely beneficial. 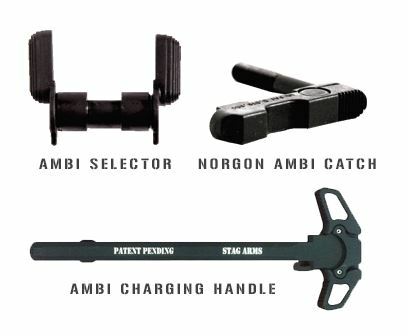 Believe it or not, ambidextrous AR-15 accessories and parts are gaining in popularity with right and left-handed owners for a wide range of reasons. You get a lot of performance advantages with left-hand and ambidextrous parts that you won't get with a rifle built strictly for right-handed users. Here are just a few.